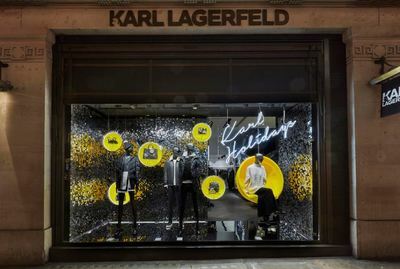 We were asked to provide our 15mm silver sequin window displays as a background to the creative expertise of Chameleon Visuals’ vision for Karl Lagerfields’ Christmas store windows. 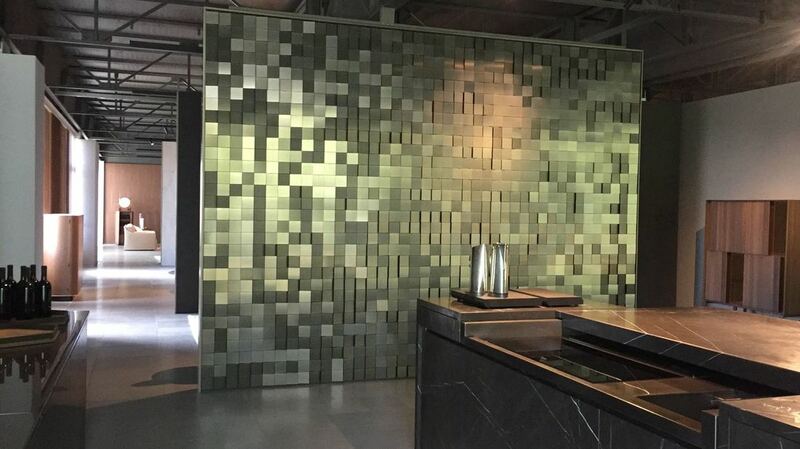 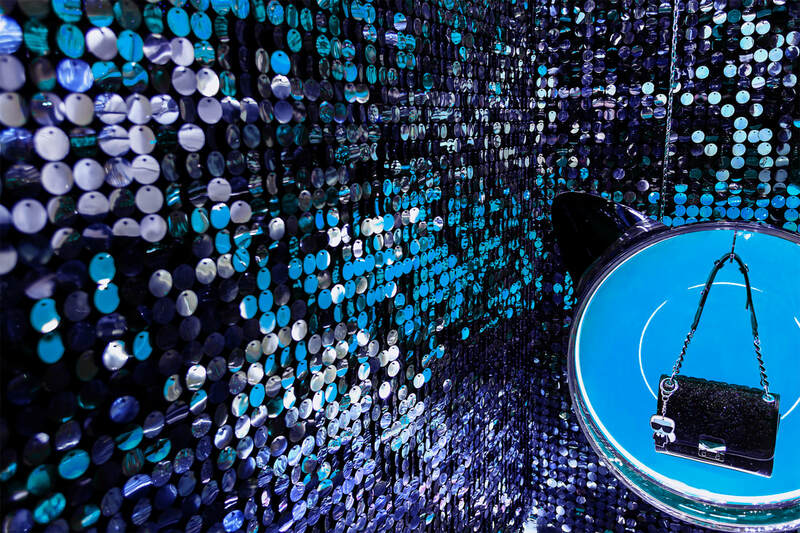 Although we provided simple silver sequin walls they acted a reflective glittering background to the theme “Karl and Choupette go to New York”. 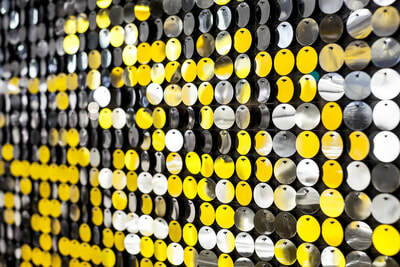 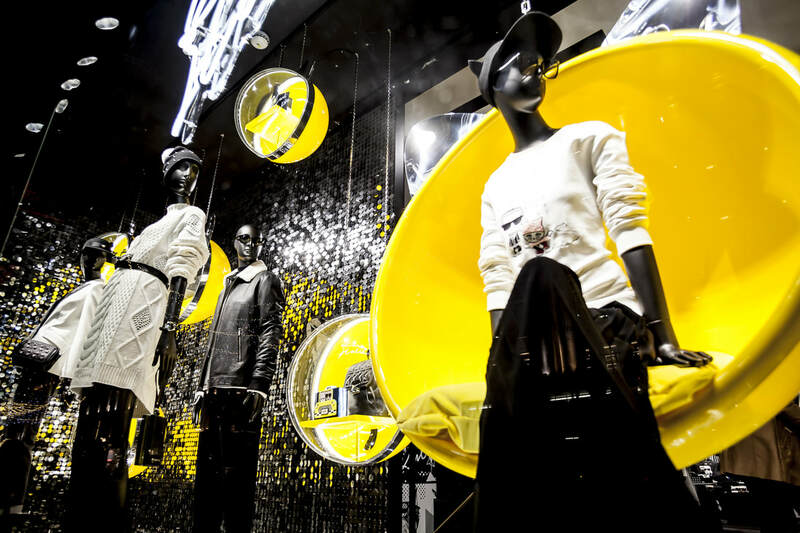 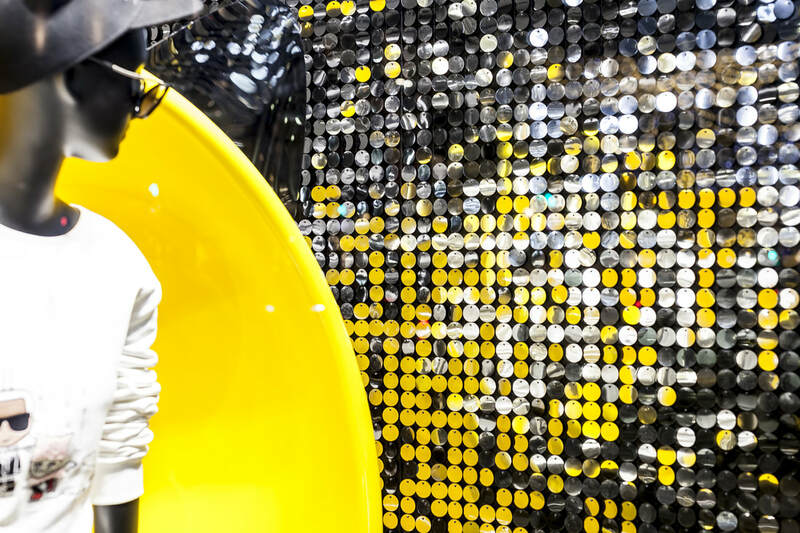 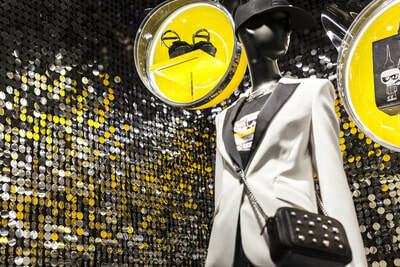 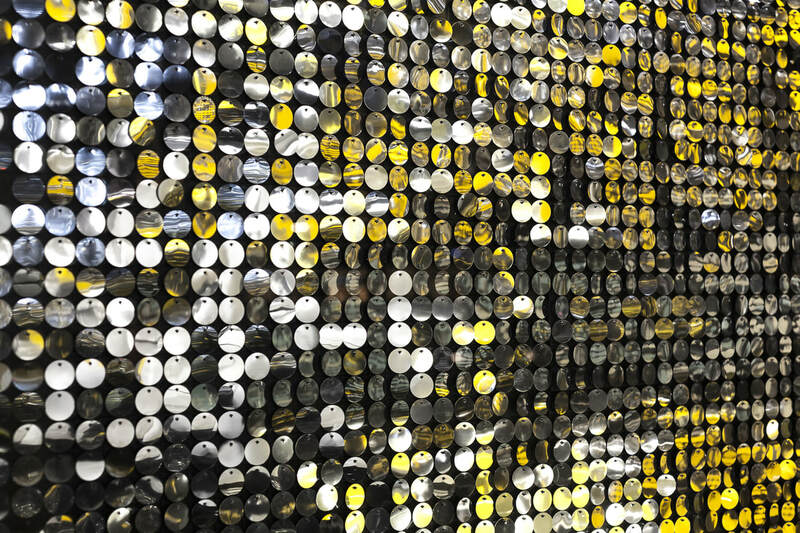 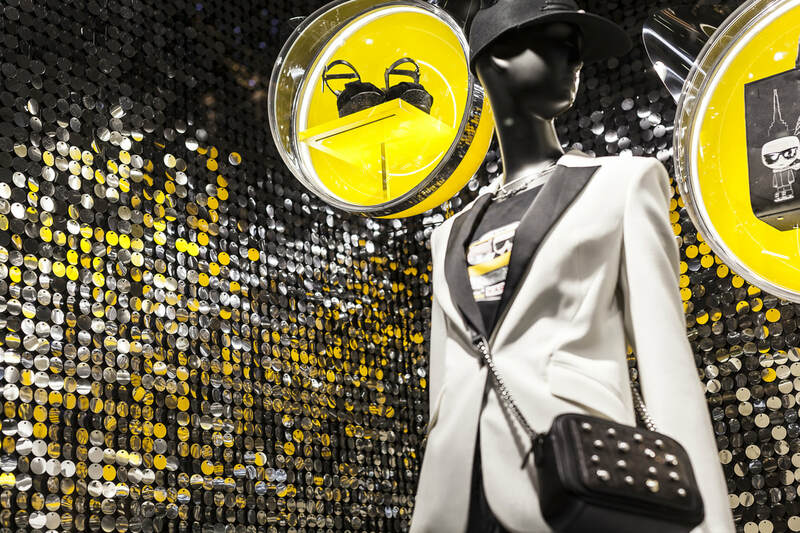 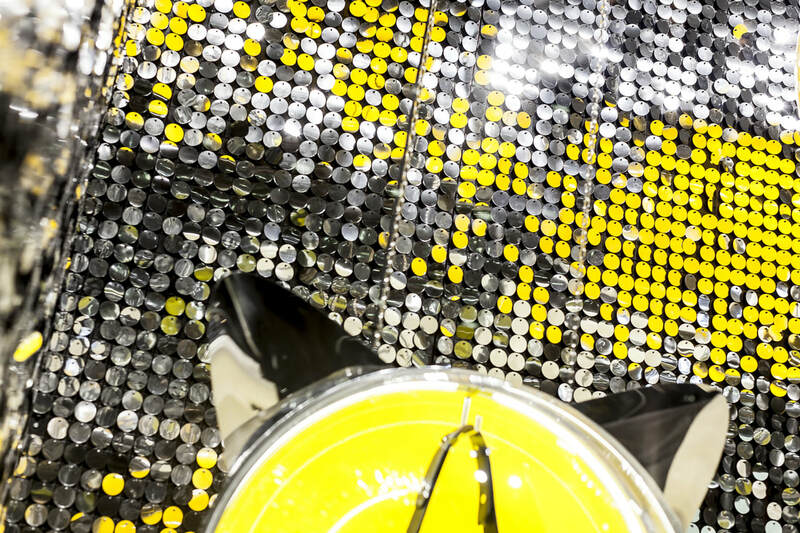 The silver sequins reflected the iconic New York yellow cab colour acting as light reflecting discs for the strong yellow tone from the pods suspended from the ceiling showcasing the brands’ accessories. 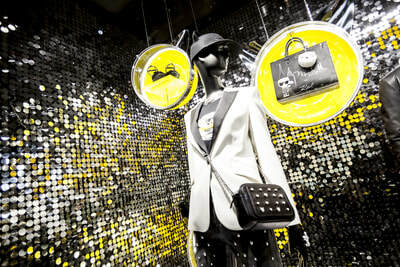 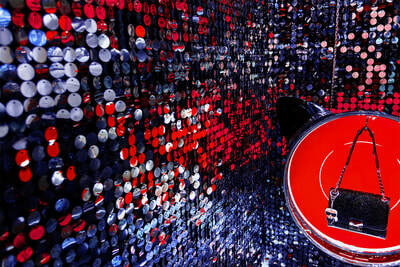 Chameleon Visual used our silver sequins to complement the glitter details on the accessories. 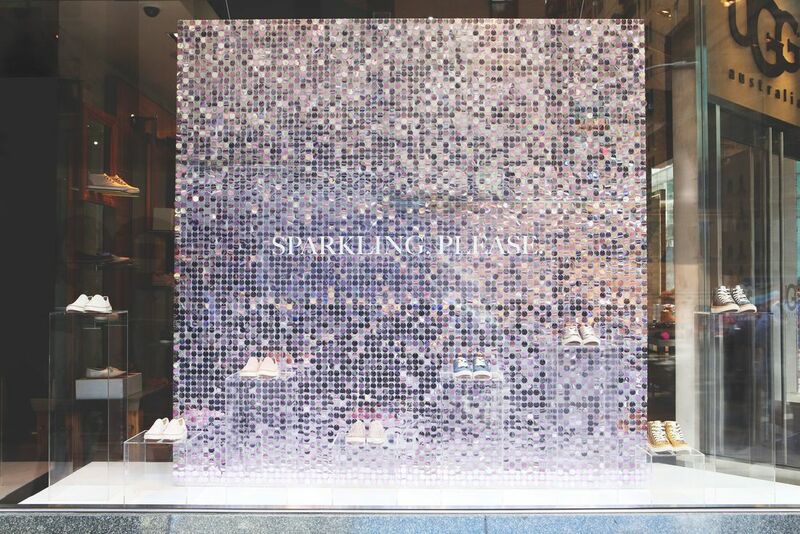 Our silver sequins were mounted by us onto our black boards and required the hand placement of over 10,000 sequins per completed store window. 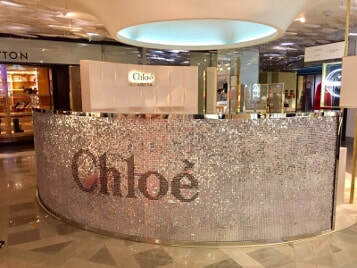 We then cleaned all the sequins and used our proprietary anti-static method for a pristine finish that we provide to all our clients. 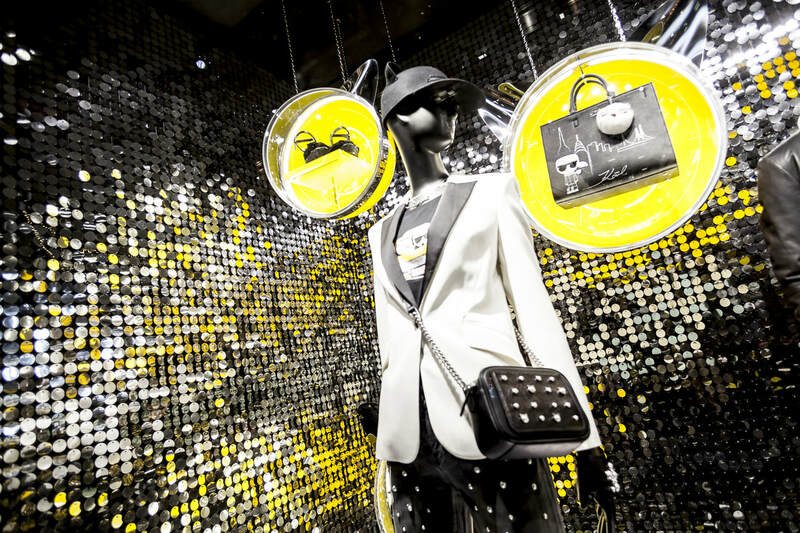 ​Chameleon Visual were inspired by Choupette’s pearl stud details and this is beautifully translated by the creative details of the stores windows for the Holiday season.